Well, we have hit the 3 week mark and are happy to say there have been no casualties. 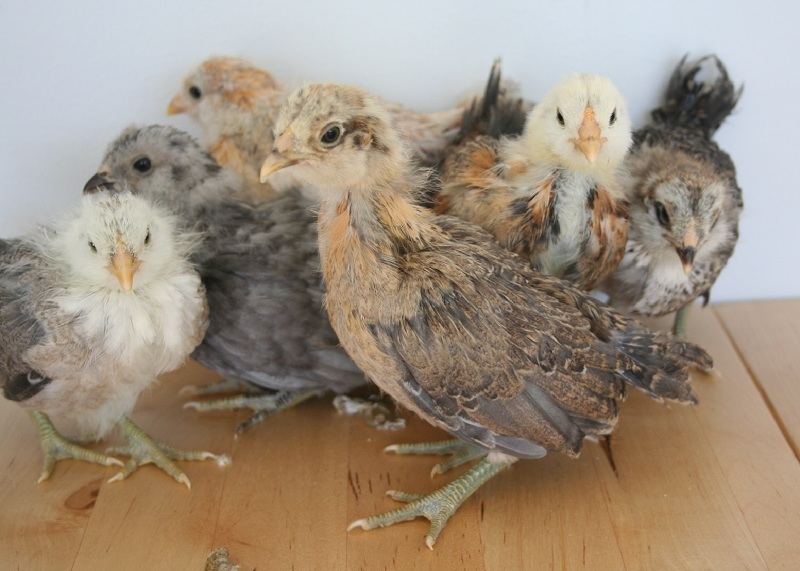 The chicks are growing up fast. 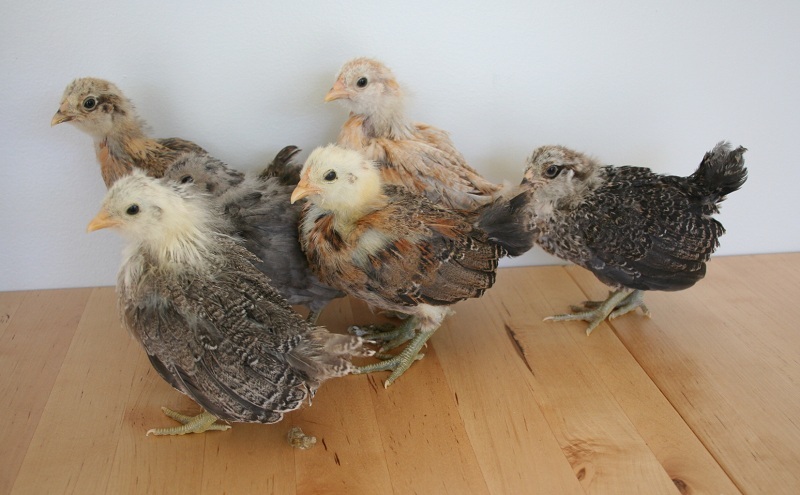 Their feathers and colors are coming in. 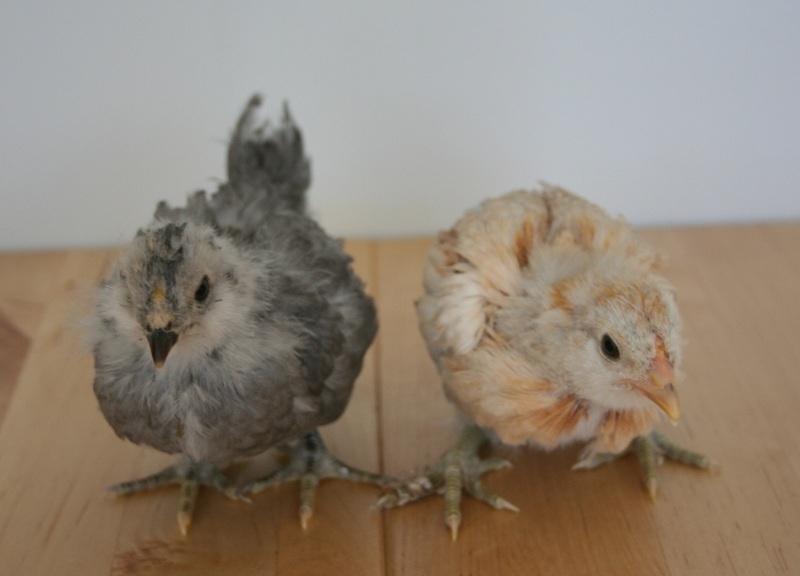 Their little personalities are also starting to show and they are sooo sweet. Here are the 2 with the biggest personalities. Jackson named them Graysen and Kai after his friends in school that are brother and sister. 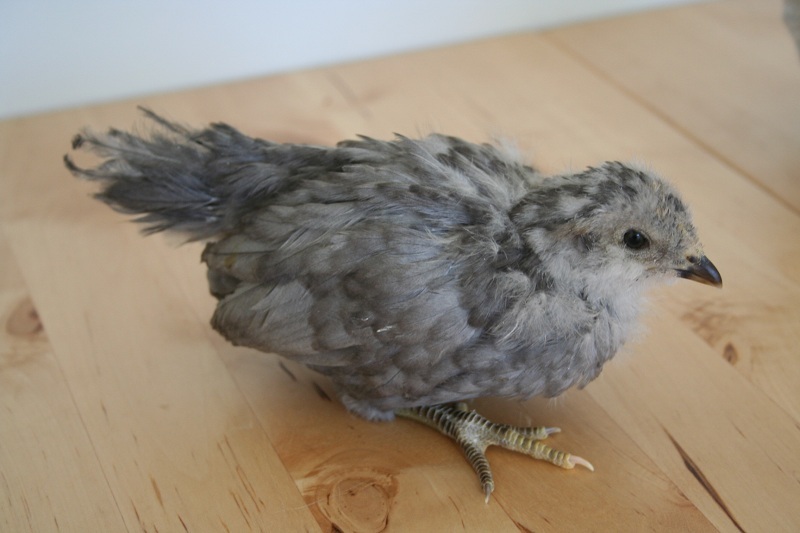 I am hoping Graysen,the gray/lavender one, is a girl because she is the sweetest chick of the bunch and just wants to be held. 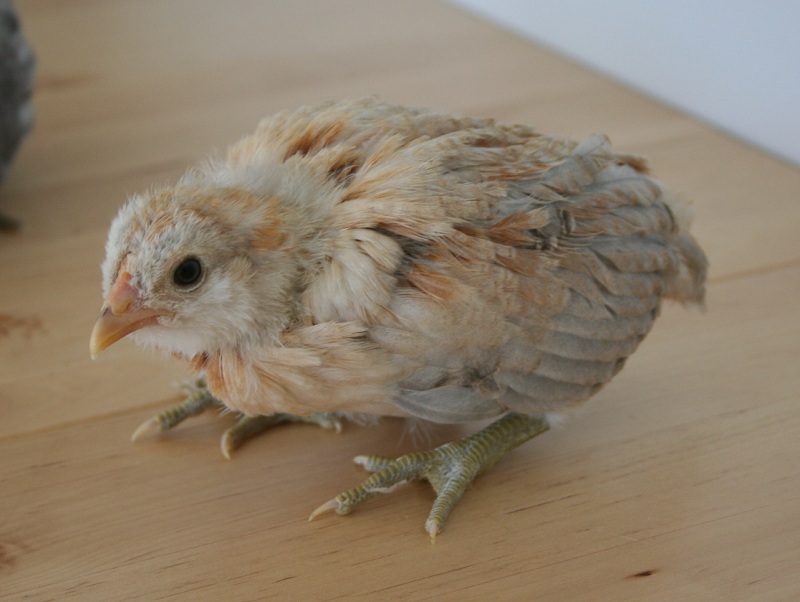 She comes up to you and will hop into your hand. Kai, gray/beige one, is the leader of the pack. He is always bumping chests with the other chests. 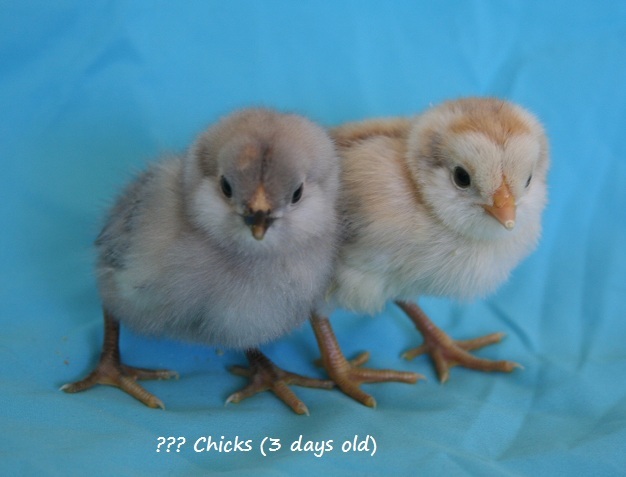 Here they are now at 3 weeks old and when they were 3 days old. 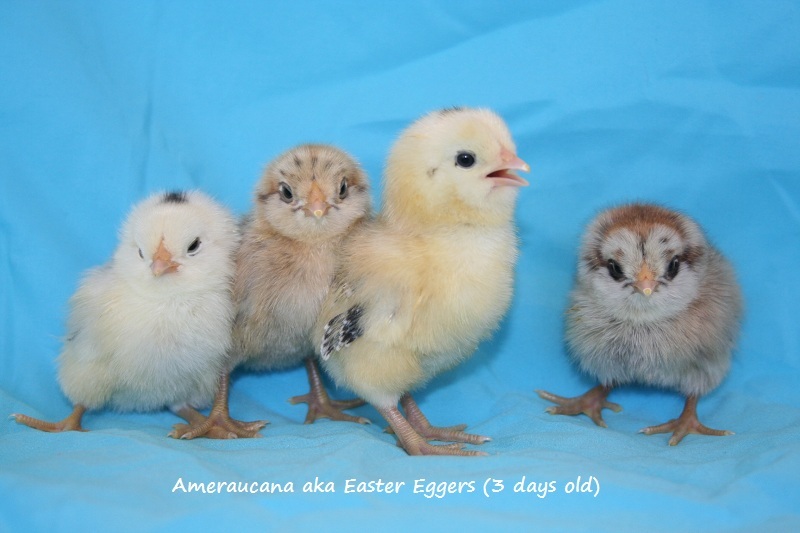 They are no longer “mystery chicks” because I found out they are Easter Eggers. 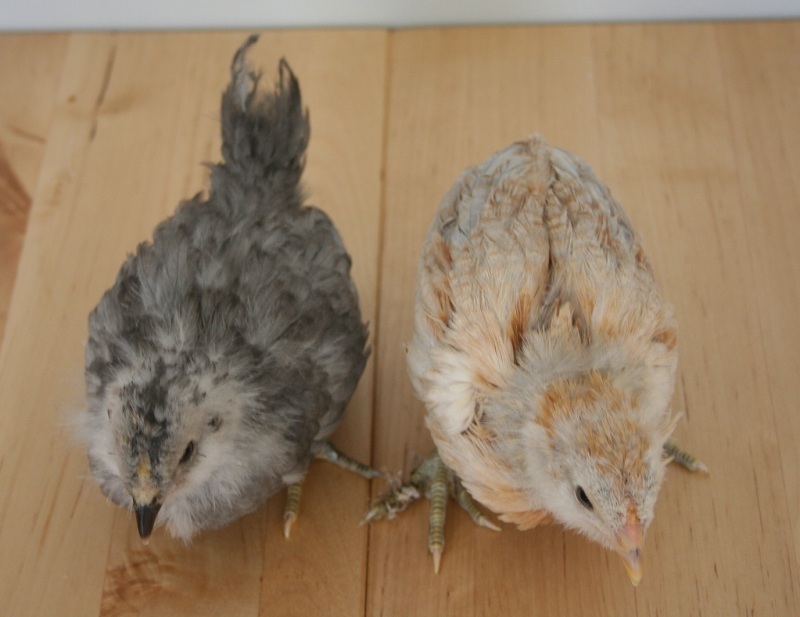 Here are some more pics of Graysen and Kai showing off their colors. 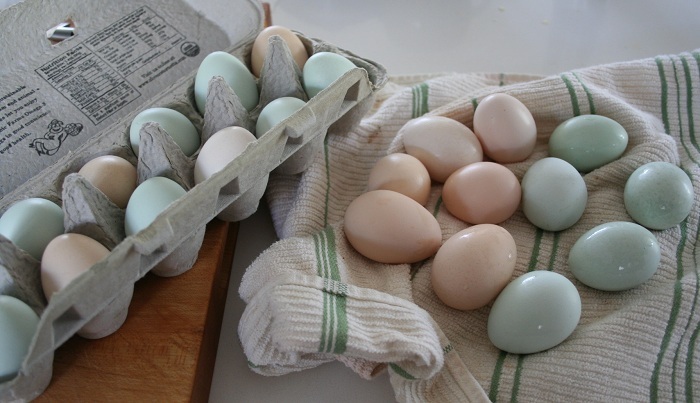 Here are the other Easter Eggers. 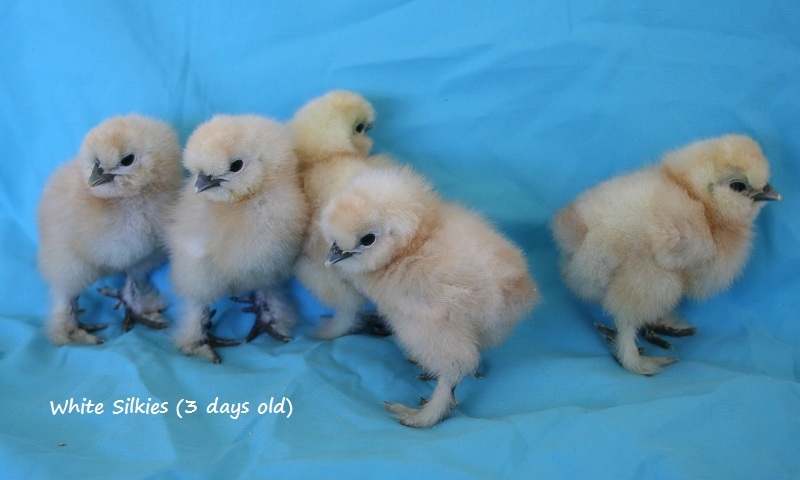 It is so cool how different they all look even if they looked kind of similar as baby chicks. 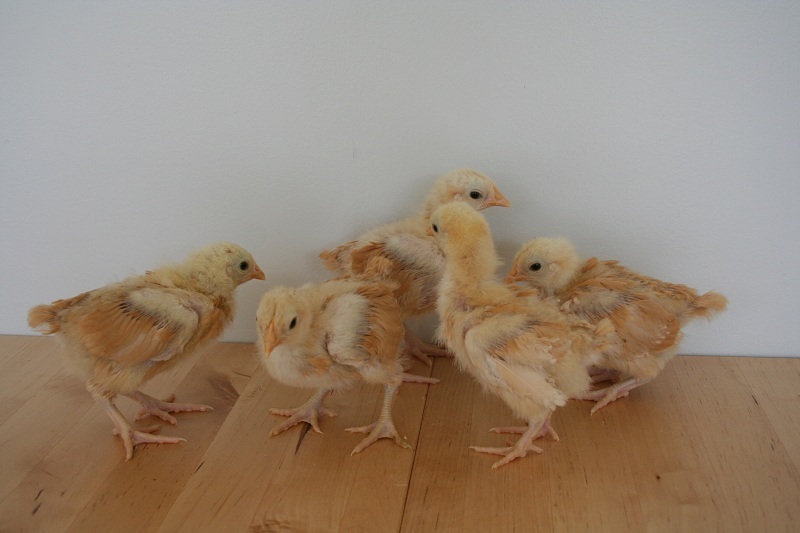 Here are the same chicks at 3 days old. 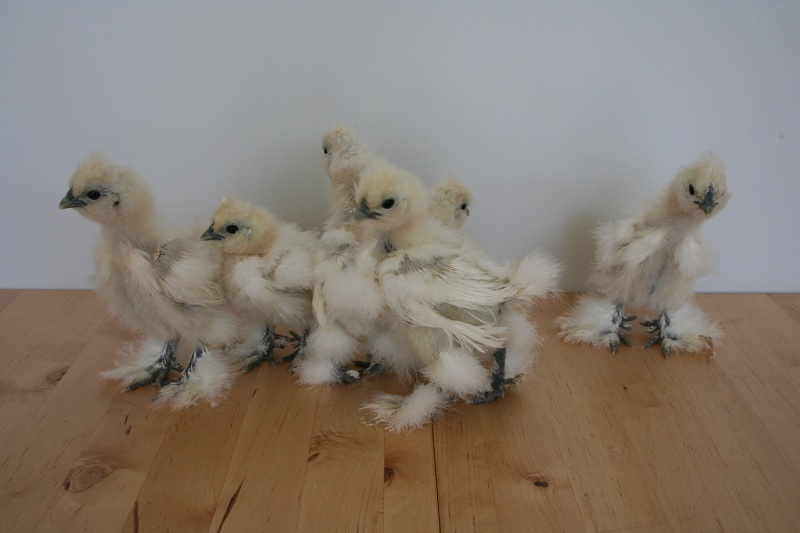 Here are the White Silkies at 3 weeks old and 3 days old. 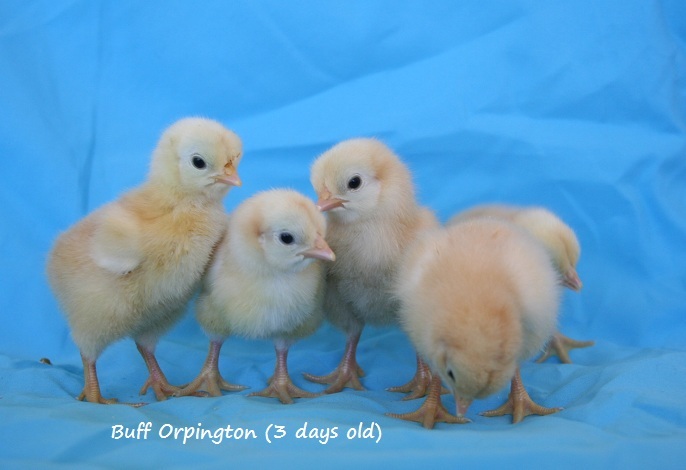 And last but not least the Buff Orpingtons at 3 weeks old and 3 days old for comparison. Love seeing the comparison pictures. They grow up so fast! Thanks for visiting Kaveh. They do grow so quickly. 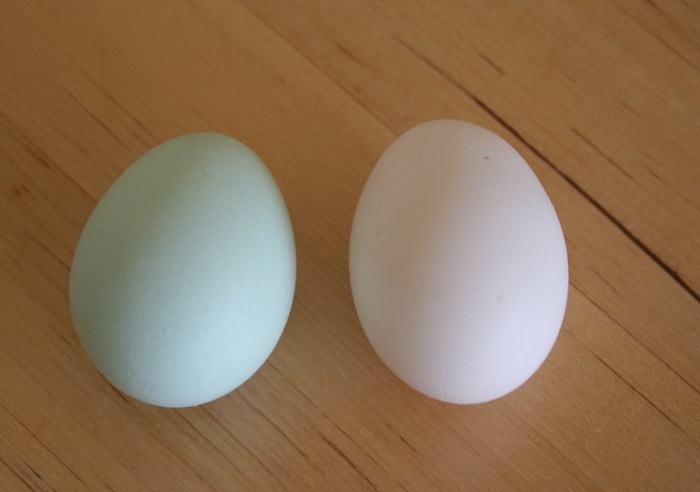 It is kind of sad but also exciting to see what sort of eggs they will lay. 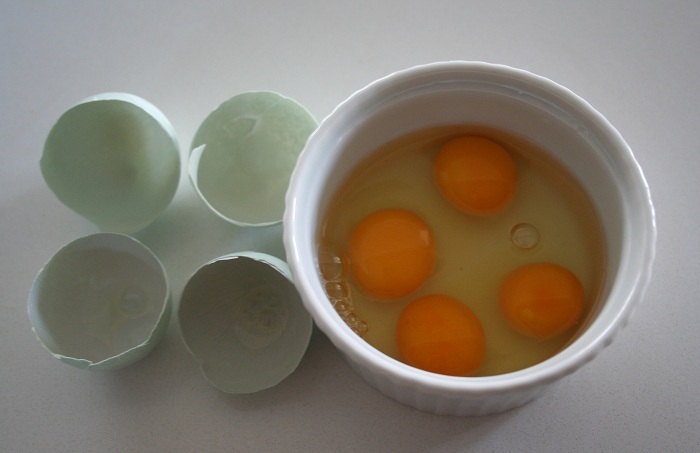 I linked to your blog from marinbackyardchickens. 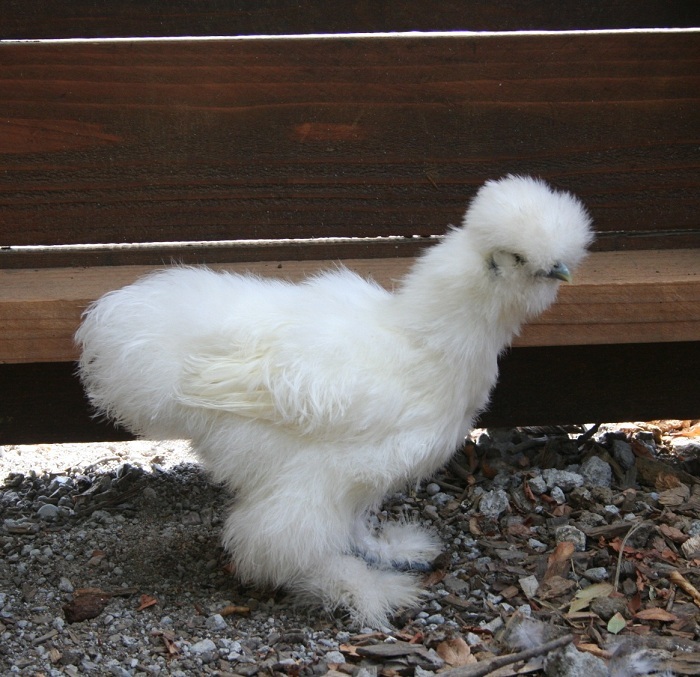 I would love to meet you – I am moving to San Rafael in July and have dreams of growing food and raising chickens in my backyard. The site does not show this, but she has a greenhouse attached to her house, and grows lemons etc… there, I believe with no additional heat – at 9,500 ft elevation in Colorado. 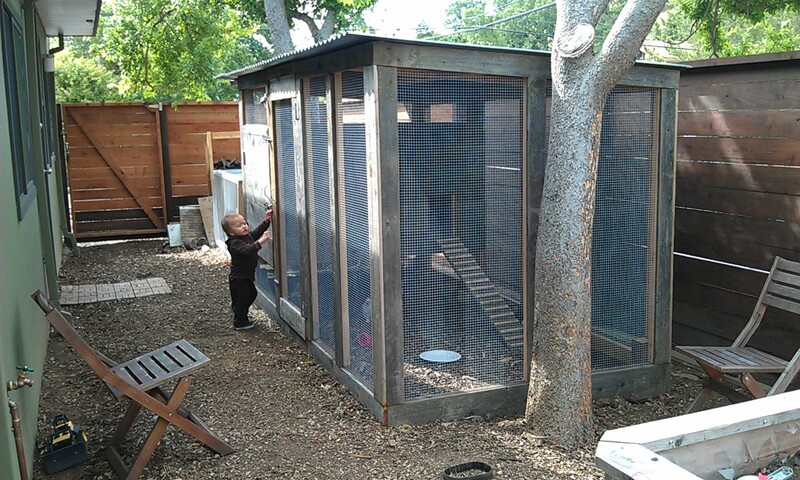 Also in Colorado (from where I moved last year), my friend Nisa has a small greenhouse she doesn’t heat (http://gardenonthemoon.blogspot.com) – I am thinking this would be an easy way to protect tropical fruit trees from winter problems in San Rafael or Italy! Hi Myrto, thanks for visiting. You will love the weather in san rafael in July. It is quite warm and great for gardening. 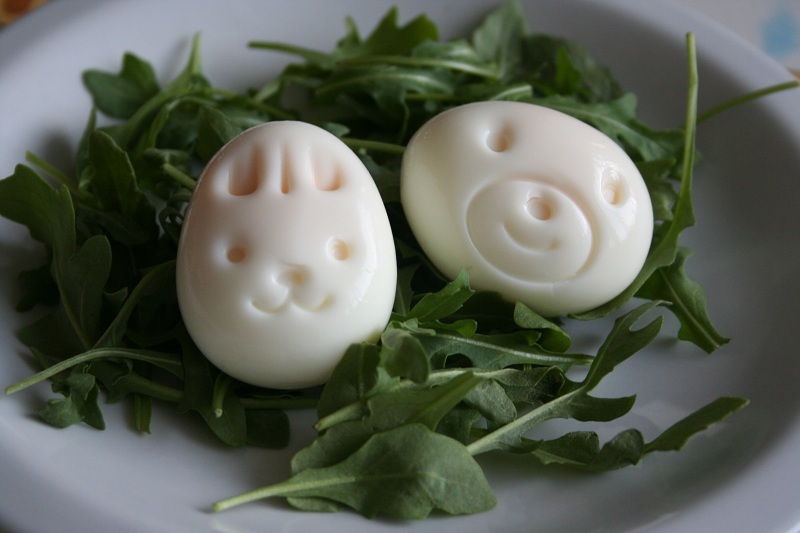 Thanks for the blogs. I will check them out!